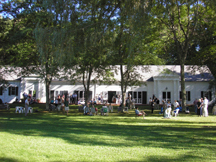 (Falls Village, CT) Music Mountain, America’s Longest Running Chamber Music Festival, continues its 88th season with Penderecki String Quartet with guest artist Pamela Mia Paul, piano performing a program of Mozart, Schumann, and Dvorak on Sunday, July 16 (3pm). The weekend begins on Saturday, July 15 (6:30pm) with first time Music Mountain guest, Alexis Cuadrado Group. Concerts are scheduled thru September 17th. The weekend starts off with a Music Mountain debut – Alexis Cuadrado Group! A bassist with a solid reputation, an award-winning composer and bandleader, and a renowned edu­­­­cator; Barcelona-born Alexis Cuadrado has become one of the most sought-after musicians in the New York jazz scene. Mr. Cuadrado's compositions show a unique voice that combines improvised and through-composed music, while drawing influences from jazz, new music and flamenco. His multiple albums have received excellent reactions from critics, presenters and fans alike. Mr. Cuadrado is also a devoted educator and a current faculty member at the New School for Jazz and Contemporary Music in NYC, and teaches worldwide as a guest lecturer. Keeping with long-standing tradition, the Saturday Twilight Series features pre-concert dinners at the quaint Falls Village Inn. Experience a piece of history in this 175-year-old Inn before soaking in the poetic jazz sounds of Alexis Cuadrado! Sunday afternoon welcomes the Penderecki String Quartet with guest artist Pamela Mia Paul, piano performing Mozart: String Quartet in D Major, K. 575; Schumann: String Quartet in A Major, Opus 41 #3; and Dvorak: Piano Quintet in A Major, Opus 81. The Penderecki String Quartet, approaching the third decade of an extraordinary career, has become one of the most celebrated chamber ensembles of their generation. The Penderecki String Quartet champions music of our time, performing a wide range of repertoire from Haydn to Zappa as well as premiering over 100 new works to date. Their recent schedule has included concerts in New York, Los Angeles, St. Petersburg, Paris, Prague, Berlin, and Rome, among others, as well as appearances at international festivals in Poland, Lithuania, Italy, Venezuela, Brazil, and China. They enter their 20th year as Quartet-in-Residence at Wilfrid Laurier University in Waterloo, Ontario where they have built the string program to be one of the top programs in Canada. Pamela Mia Paul is both a brilliant performer and a deeply dedicated teacher. On stage, she has performed with the world’s great orchestras and appeared in the world’s major concert halls. Ms. Paul has given concerts, receiving critical acclaim, throughout the United States, Europe, the People’s Republic of China, South Korea and Turkey. Her interpretations of both standard repertoire and twentieth-century piano concertos have garnered consistent critical praise. Ms. Paul is currently Regents Professor of Piano at the University of North Texas. Chamber music concerts continue with Ariel Quartet with Soyeon Kate Lee, Piano (July 23); Harlem String Quartet with Fei-Fei Dong, Piano (July 30); Aeolus String Quartet with Geoffrey Burleson, Piano (August 6); and St. Petersburg Piano Quartet (August 13). The Saturday Evening Twilight Series continues with Anouman Gypsy Jazz Quartet (July 22); Alan Ferber Nonet (July 29); Ben Kono Group (August 5); and Ryan Keberle & Catharsis (August 12). Chamber Music Concerts are $35. Twilight Series Concerts are $30. Children ages 5-18 are admitted FREE for ALL CONCERTS when accompanied by a ticket holder. Saturday Twilight Concerts are at 6:30pm. Sunday afternoon Chamber Music concerts are at 3pm. Group rates and pre-season ticket vouchers are available. Discounts apply through participating organizations. For a complete summer schedule, special ticket prices, and to download a ticket order form visit www.musicmountain.org or call 860-824-7126. (Falls Village, CT) Music Mountain, America’s Oldest Continuing Summer Chamber Music Festival, continues its 88th season with Penderecki String Quartet with guest artist Pamela Mia Paul, piano performing Mozart: String Quartet in D Major, K. 575; Schumann: String Quartet in A Major, Opus 41 #3; and Dvorak: Piano Quintet in A Major, Opus 81 on Sunday, July 16 (3pm). The weekend begins on Saturday, July 15 (6:30pm) with first time Music Mountain guest, Alexis Cuadrado Group. Chamber Music Concerts are $35. Twilight Series Concerts are $30. Children ages 5-18 are admitted FREE for ALL CONCERTS when accompanied by a ticket holder. Visit www.musicmountain.org or call 860-824-7126.